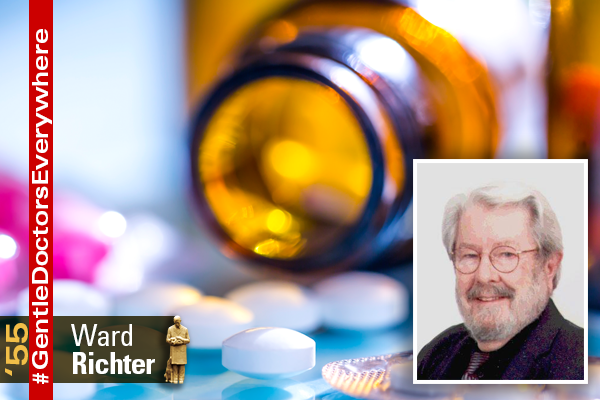 Dr. Ward Richter is internationally recognized as an expert in toxicology pathology and preclinical safety evaluation of new pharmaceuticals and industrial chemicals. The 1955 DVM graduate has worked as a corporate and academic scientist, educator, laboratory manager, corporate executive, software developer and consultant to the biotechnology and pharmaceutical industries in addition to being a professor of pathology at the University of Chicago Medical School. But his most recent honor came with his induction in the Union Grove Union High School Bronco Hall of Fame.